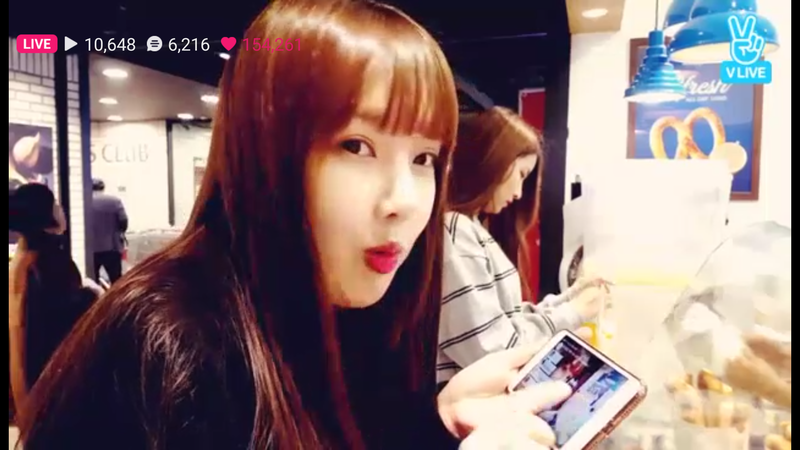 Yerin: Last day I saw my photo..
GORGEOUS with Egg Beater !!! If only there is an Award for Mukbang Category. Yerin will win for sure.. I'm so grateful to see her again like that, I hope she stays being happy, I think she gets more nervous when the performance is being broadcast, but she's more free on these kinds of events. Yerin and Sowon attended Apink's Concert 'Pink Party' and some intertaction between Yerin and Apink member Hayoung! Why no one is spazzing about Yerin on all these recent Gayos? I don't know but this is the only fancam I ever saw with Yerin as focus. Almost all fancams are focused on SinB & Eunha which is also not bad haha! Wowowow thanks so much for sharing this. At school right now but will definitely check it out when i get home. Some of Yerin Gif !! Glassbead era Gonna be 2nd Anniversary soon . Yerin is happy about the award .____.